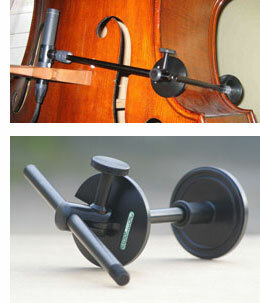 I like the H-Clamp – even though I had one less good experience with it. It works perfectly with all microphones, except – in my opinion – with large and heavyweight ones. I think, the manufacturer shouldn´t any more recommend to do this in their advertisement, but, on the contrary, rather warn bassists of trying to use that clamp with those heavyweight mics!